What bipolar treatments are most effective and right for you? It is important to understand that Bipolar Type 2 (Bipolar II) treatment may need to be different to treatment for Type 1 (Bipolar I). In Bipolar Type 2, treatment may focus more on depression rather than mania because mood swings into mania are less common and less extreme. determine whether you actually do have bipolar disorder but also your type of bipolar, and the best bipolar treatment for YOU. Lithium is still the classic bipolar treatment but it is no longer our only option. The most established medication for treating bipolar is lithium. One drawback to lithium is that although it works very well to treat mania and prevent suicide, it is not as useful in combating bipolar symptoms of depression. The combination of lithium and Lamictal is becoming a popular approach as the two medications complement each other – Lamictal is mainly effective for bipolar depression, and lithium of bipolar mania. 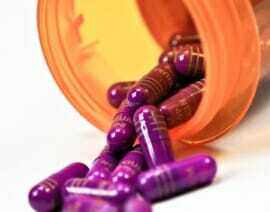 Anti-convulsant medications, such as valproate (Depakote) also can have mood-stabilizing effects. Depakote has been shown to be useful for otherwise hard to treat mania, and was approved in 1995 by the FDA for treating mania. The drug Seroquel is the only single agent approved by the FDA for the treatment of the spectrum of bipolar symptoms – both bipolar depression AND bipolar mania. Seroquel is the brand name for Quetiapine, an atypical anti-psychotic. Side effects can include pronounced sedation and weight gain. This in turn can contribute to non-compliance as many people find these side effects difficult to tolerate. The right bipolar treatment will reduce the number and severity of episodes of both depression and mania. Don’t settle for less! The use of antidepressants such as SSRIs like Prozac and Lexapro are increasingly discredited for treating bipolar as both ineffective, and dangerous because these antidepressants can trigger mania. What happens to people when bipolar medications do not work? Learn about treatment resistant bipolar disorder. After trying several talk therapies as bipolar treatments, the approach I personally found to be most effective for my own bipolar symptoms focused on identifying the stressors and triggers of my manic and depressive episodes. Stress is a major trigger of bipolar illness so this approach makes a lot of sense. I learned important information about bipolar as it applies to me personally. I can identify the common or typical triggers of episodes, as well as my own personal triggers. Now I have developed strategies for dealing with stress, and identifying the start of an episode so it did not get a chance to escalate into serious depression or mania. Self-help strategies are crucial. I especially recommend resolving any issues around bipolar sleep, and keeping your own bipolar mood chart. ECT was introduced in the 1930s. Due to the sledge hammer nature of early ECT therapy, and the dramatic movie portrayals in films, ECT frightens many people and has come to be regarded as a treatment of last resort. However, today ECT is more refined and is regaining popularity. 2. Urgent intervention is needed, e.g. cases of severe psychosis or suicide risk. 3. A patient is having serious episodes but medication is too risky, e.g. pregnant women. Today the risk of memory problems has been significantly reduced with modern ECT techniques. However, it can be an expensive treatment and often is required on an on-going basis. Learn more about contemporary ECT treatment for bipolar. Diet and nutrition are increasingly being recognized as effective treatments for bipolar and depression. Discover powerful strategies and the optimal bipolar diet for mood stabilization and weight management. Please see our more detailed discussion of the various “talk” therapies / psychotherapies for bipolar disorder at Bipolar Therapy Treatment. This includes descriptions of ten therapies such as Cognitive Behavior Therapy (CBT), Interpersonal and Social Rhythm Therapy (IPSRT), Functional Training and so forth, as well as personal information on my favorite bipolar disorder management tools, and what has WORKED for me. 1. The breast cancer drug Tamoxifen. Tamoxifen effects the hormone estrogen (hence its breast cancer benefits), and also effects the protein kinase C enzymes (PKC). PKC activity is more pronounced in bipolar mania, leading researchers to successfully experiment in using Tamoxifen to treat bipolar mania. 2. TMS: Transcranial magnetic stimulation. TMS is the use of strong magnetic pulses to induce weak electric currents n highly targeted segments of brain tissue. Unlike in ECT, there is no need for an anesthetic, and the patient remains awake and alert. Also, unlike ECT, the magnetic pulses are not strong enough to induce seizures, and there is no memory loss. 3. Art and other creative/expressive therapies. There is a strong relationship between bipolar disorder and creativity. An unusually high proportion of people with bipolar disorder are very gifted. Expressing rather than repressing creativity can be a crucial part of maintaining wellness. Read this page a few times. Take it slow. 2. What phase of the illness you are in. There are some quite different treatment options for treating Bipolar Type 1 versus Bipolar Type 2. Also, treatment may be different for an acute episode of mania versus an acute episode of depression. Treatment for the maintenance phase of bipolar disorder may be different again. These are not the only factors that lead to treatment variations. The picture is further complicated by how well you respond to the different options. 1. The presence of another co-morbid condition such as anxiety or panic attacks or substance abuse. 3. Your own insight into your illness and how much personal responsibility you will take for staying well. The treatment of Bipolar Type 2 can be controversial. Many experts can tell you all about the differences between Bipolar 1 and Bipolar 2, but are silent on whether there should be different bipolar treatment options for different types of bipolar disorder. The big difference with Bipolar Type 2 is that in this form of the illness, you experience hypomania as opposed to mania. Further, because of the much milder hypomania, people with Bipolar Type 2 do not experience any bipolar psychosis such as hallucinations or delusions. However, even though the mania is much milder, to the point of being hypomania instead of “mania” as such, the episodes of Bipolar 2 depression are just as serious as depression with Bipolar Type 1. So someone with Bipolar Type 2 needs bipolar treatment options that will be very effective in terms of dealing with depression, whereas managing mania is of less importance. 1. The same basic approach with a focus on using mood stabilizers such as lithium, but augmenting with Lamictal because of its strong antidepressant properties. 2. A more radical difference between how the two types of bipolar disorder are treated, with SSRI drugs and other antidepressants being acceptable as the only medication for Bipolar Type 2, with NO need for a mood stabilizer or antipsychotic. New treatments for bipolar also include innovative and specialized programs being developed at bipolar treatment centers. – holistic intervention in a beautiful, nurturing treatment center. Click here to learn about some of the best bipolar treatment centers in the US. In summary, whether “classic” Bipolar 1 or Bipolar Type 2, bipolar symptoms require targeted bipolar treatments. It is important to take a bipolar test to confirm your diagnosis.